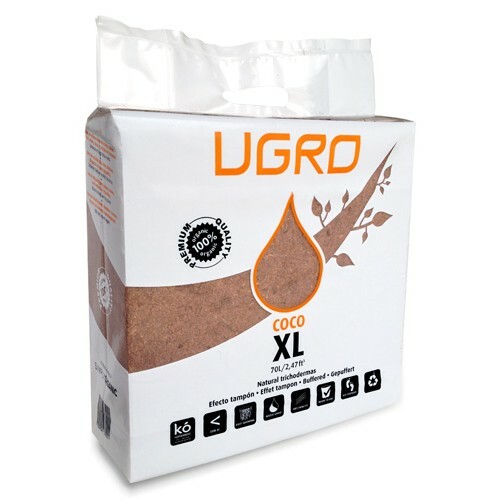 UGRO XL is a 5 kg block of pressed and dehydrated coco peat with a low percentage of fibres. Its big size makes XL a money saving solution. With 28 litres of water it yields up to 70 litres of high quality coco peat. It is suitable for all types of cultures, outdoors and indoors. Perfect for short-term and seasonal crops. 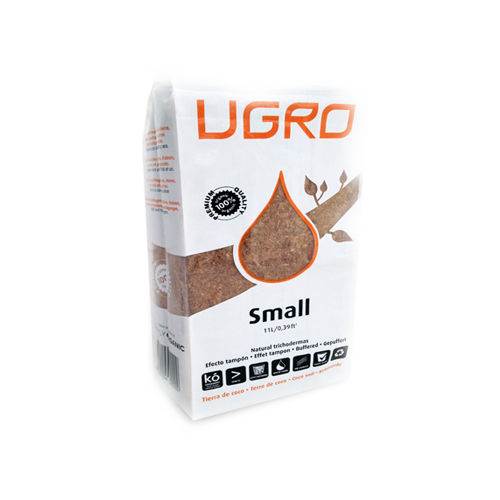 UGRO Small is a 650-gram brick of pressed and dehydrated coconut coir in small particles, with a low percentage of fibres. 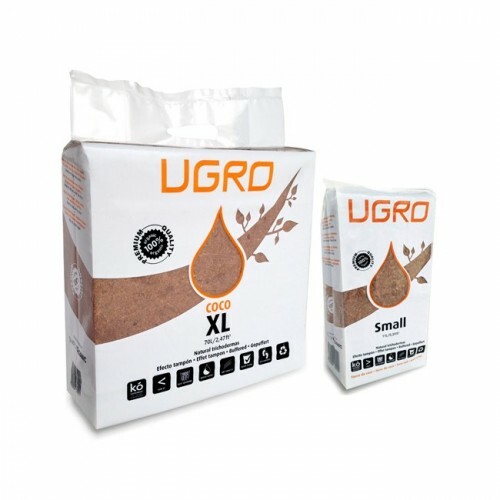 With 4 litres of water it yields up to 11 litres of high quality coco peat. Small is perfect growing media for short-term and seasonal crops. It’s suitable for indoors and outdoors use.